Ample Technologies Walkin Drive In Bangalore | Retail Store Manager Jobs | 17th to 20th January 2018. 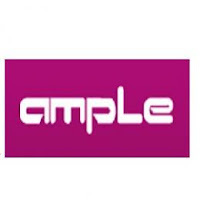 Ample Technologies is going to hire the graduates for the 2 Retail Store Manager position in Bangalore. This is the great opportunity for the enthusiastic and dynamic people to make their careers in Ample Technologies. Nowadays, getting IT job is not an easy thing. So, the aspirants who have all the required qualification can directly attend for the Ample Technologies Walkin Drive on mentioned dates. Company Name Ample Technologies Pvt Ltd. 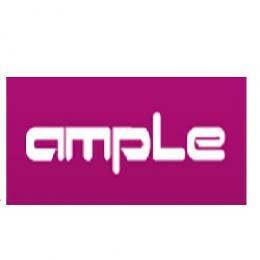 Ample Technologies has urgent openings for retail store manager jobs. We suggest that the eligible candidates should start your preparation with the Ample Technologies Placement Papers and Ample Technologies Test Pattern. Preparing model papers lead to crack the Ample Technologies test easily. For more placement papers and interview questions, job seekers can visit our website All India jobs. Contenders can easily get the job in Ample Technologies if you are thoroughly prepared for the Ample Technologies Walkin Drive. We suggest that candidates can bookmark our webpage for more Jobs in Bangalore, other job details. You can also check the official website of Ample Technologies for more details. Head the Apple store operations as a key Brand Ambassador for Apple in terms of performance management, teamwork, inventory planning, store upkeep, customer satisfaction and so on. Maintain reports in real-time to keep a track of the progress level of the store. Ensure and plan the availability of the stocks at all times. Deliver the right mix of product and service to every customer that visits the store and ensure that the team follows suit. Maintain visual merchandising at the store to ensure proper visibility of all products. Develop market intelligence on current trends and know about the competition to enhance the profitability our business. Conduct team reviews and team briefings regularly to ensure that everyone is on par. Ensuring the deliveries and adherence to store audits via the team. Handle escalations on priority and ensure to close it ASAP for maximum customer satisfaction. Create a healthy work environment for the team and guide/ help them whenever necessary by leading the team by example, with an eye to detail with regards to the business. Possess excellent communication and customer handling skill. Should have worked in Premium Brand / Upmarket Segment Store / High-End Retail / Cluster Manager in LF Retail chains. Should have handled a team of the minimum for at least 2 years. Computer savvy, especially handling reports and generating them in Excel. Possess good leadership skills, analytical skills, and problem-solving skills. Have conceptual knowledge and takes initiatives. Able to learn and multitask. Creative and has strategic thinking in place. Ample Technologies Pvt Ltd. devises and delivers customized solutions for their clients in the digital imaging, IT, print, and video industry. Mobile computing, storage and presentation divisions cater to the need of corporate clients. Headquartered at Bangalore, Ample Technologies have branches in Chennai and Hyderabad. They have the partnership with some of the world’s best brands such as Apple, Kodak, Encad, Sony, Adobe, Xerox, and Quark. Ample Technologies is now the largest partners for Apple in the SAARC region. It have been bestowed with awards for our consistent performance in sales and support across our products. Ample Technologies ability to integrate and extract the ideal synergy from our product range is what distinguishes us from the others. Their main aim to build lasting partnerships with clients. Ample Technologies is going to conduct the walkin drive in Bangalore for the graduates. The eligible and interested candidates can attend for the Ample Technologies Walkin Drive from 17th to 20th January 2018. Interested aspirants can check the walkin details in the below sections. Do not forget to carry all the required documents to the interview. Landmark- Next to Renault car showroom/ Opposite to Jakkur flying club. We hope that the given information about Ample Technologies Walkin Drive is sufficient for your job search. Keep visiting our website www.allindiajobs.in for more job details.